Because I have so many untrieds to get through I thought it would be a good idea to start a Remember When…series. This will house polishes that I feel were special. 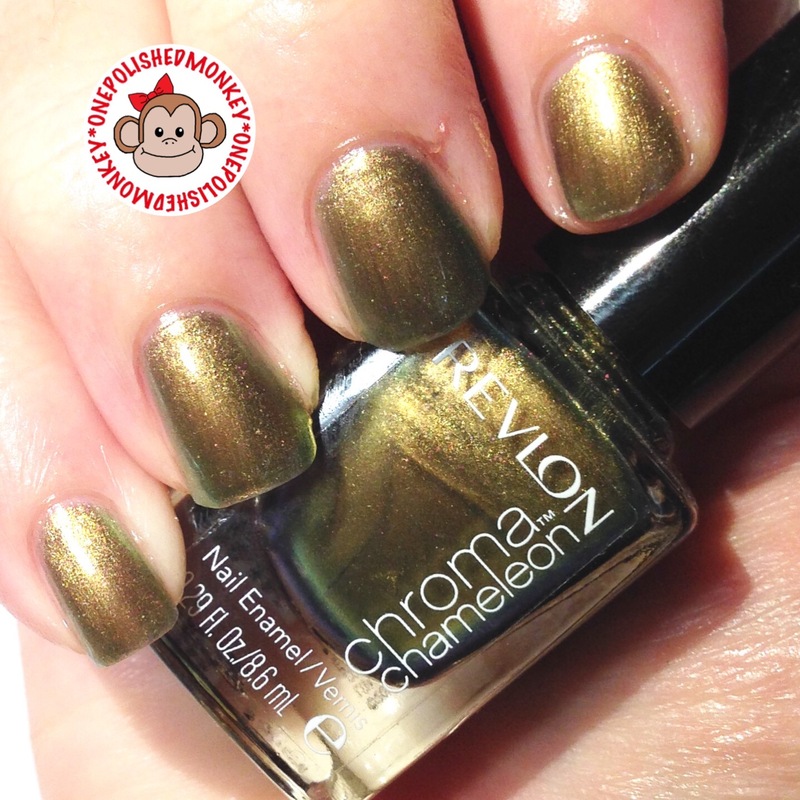 We start that series with a throw back to May 2013 when Revlon released a limited edition duo and multi chrome polish collection. Back then I was on the hunt for all things Sinful Colors and needed to have every limited edition polish they released. I was following Nouveaucheap’s blog religiously, and still do, to find out about all the upcoming releases. 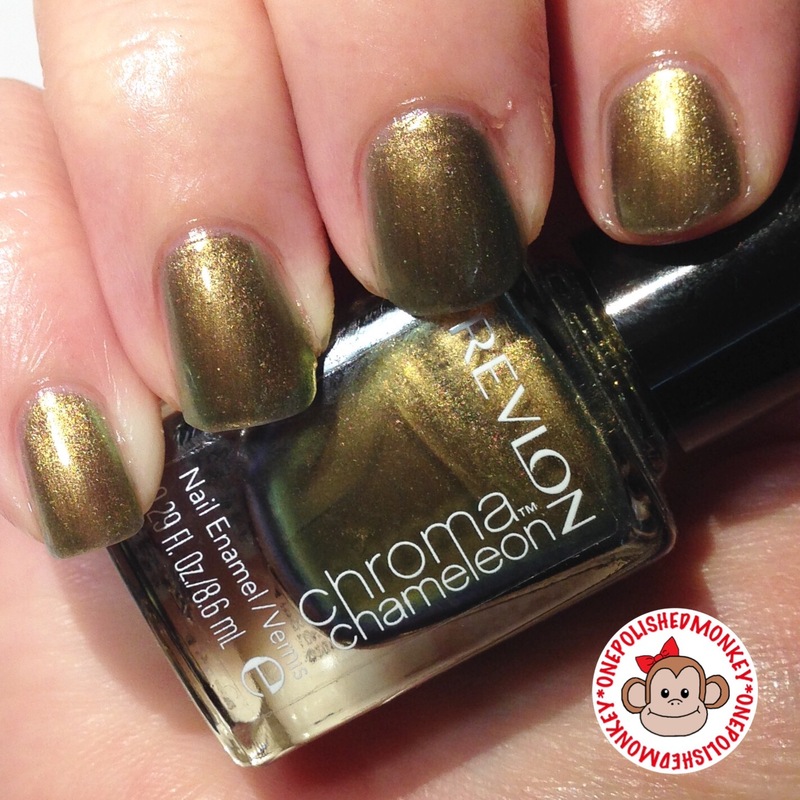 It was on her blog that I first heard about these Revlon polishes. She had given the hint they would be released when someone spotted them at a Harmon’s location. I kept my eye out every time I went into Walgreen’s looking for Sinful Colors. Sure enough I spotted them a couple weeks later and ended up with 5 of the 8 that were offered. Today I’m showing you Gold. A multi chrome that is predominantly gold but turns green, blue and even a hint of purple depending on the light. 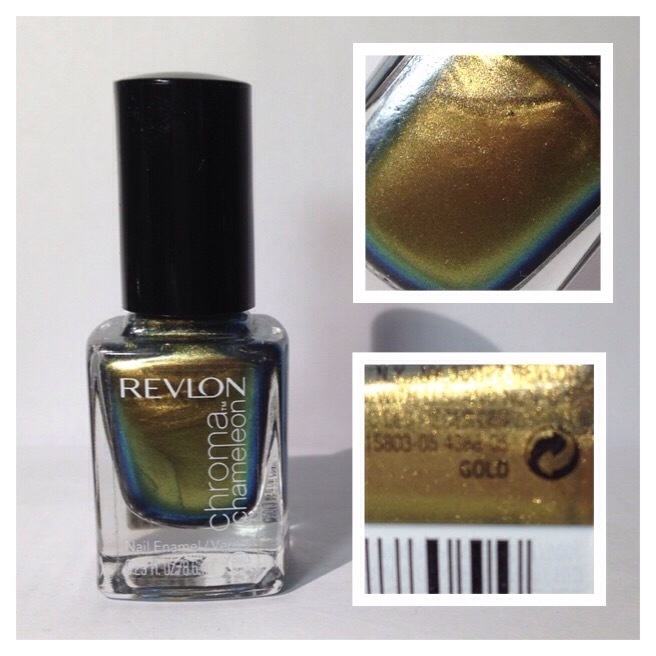 Wearing this polish I could only see the gold, green and a slight blue color. Purple was only spotted in the bottle. I applied two coats and a third one could have been used since there were a couple bald spots here and there. I don’t recall how much I paid for them but I’m guessing when I bought them I wasn’t looking at the price compared to mL. These bottle contain 8.6mL so its just over half of a full size bottle of nail polish.